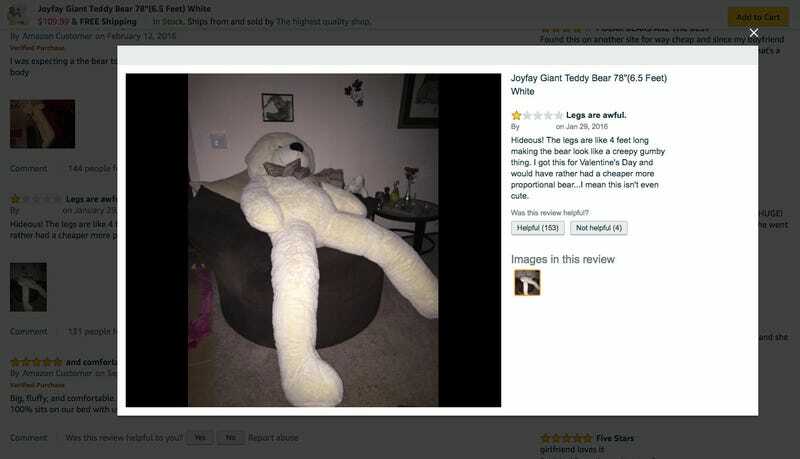 This week, cursed images of an enormous stuffed animal with legs seemingly made to strangle you in your sleep spread across the internet after a Twitter user shared some Amazon reviews of the six-and-a-half-foot Joyfay Giant Teddy Bear. Some shoppers assumed they were ordering a larger version of a childhood teddy, but were disturbed to receive a furry creature with disproportionally long legs. Hideous! The legs are like 4 feet long making the bear look like a creepy gumby thing. I got this for Valentine’s Day and would have rather had a cheaper more proportional bear...I mean this isn’t even cute. Who could possibly be behind such a nightmare creature? As it turns out, four scientists—an electrochemist, a photo-chemist, a physicist, and a laser spectroscopist. 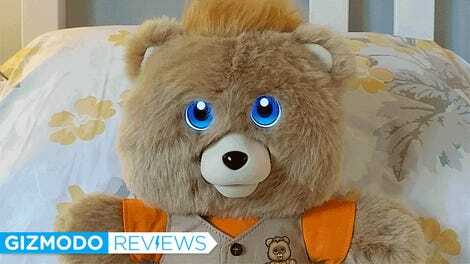 The co-founders of Joyfay, which sells the bear, were all working on their PhDs at Case Western Reserve University in Cleveland when then-photochemistry student Junwei Wang came up with the idea to sell things on Amazon. They listed some items that sold immediately. 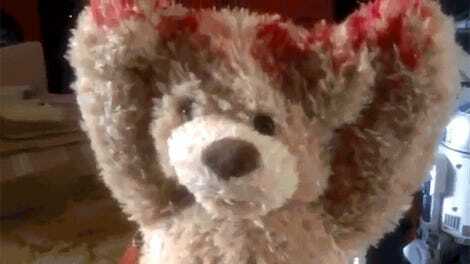 Soon they began selling “anything and everything online, including these teddy bears,” Matic said. Their business, Joyfay, took off. And once they all graduated around 2014, they stuck with it, and didn’t bother pursuing jobs in the scientific community. But they haven’t abandoned science altogether, according to Matic. “There’s definitely a science behind these giant teddy bears,” he said. It comes down to two major factors, one logistical and one psychological. Logistically, if the torso of a giant stuffed animal was bigger, then the cost of shipping USPS would be much more expensive. If they ship a bigger-torsoed bear with FedEx ground, then it would have to be shipped as freight—which is too slow to be included in Amazon Prime. Losing Amazon Prime would hinder sales. But more importantly, Matic explains, they’re just providing the giant bear size that people really want. Dig deep down and think, “Why is it that anybody buys teddy bears?” There are some answers and they’re quite profound. One of the reasons why people buy teddy bears is because the proportions of the arms and torso and legs are that of a baby. And it’s kind of innate to children to like those kind of proportions. And it’s kind of cute to us. It’s like an axiom: Everybody finds babies to be cute. So normal teddy bears, they maintain these kind of proportions... But in the real world, if you had babies that were that big, they could not walk and they couldn’t hold their head. So if a giant teddy bear should not have the proportions of a giant baby, then what? Well, when Joyfay first began selling giant bears back in 2011, most of the sales were around Valentine’s Day. Matic shared a Google Trend search that showed that searches for “giant teddy bear” do spike annually around early February. “When a boyfriend buys a girlfriend a large teddy bear, then this large teddy bear is kind of a replacement. We have lots of folks, they went to Iraq and they were deployed and they bought their wives or girlfriends a giant teddy bear,” Matic said, explaining that the girlfriend customer base seems to prefer the longer legs. Whatever that function may be, some reviewers did seem disappointed that the legs were longer than they expected when ordering. But Matic said some of the images posted by customers “kind of misrepresent how it actually looks” because of the unflattering angle. While most Joyfay’s promotional images of the giant teddy bear do show a head-on angle that make the legs appear shorter, Matic showed me one side-angle shot of the bear that he said looks more normal.